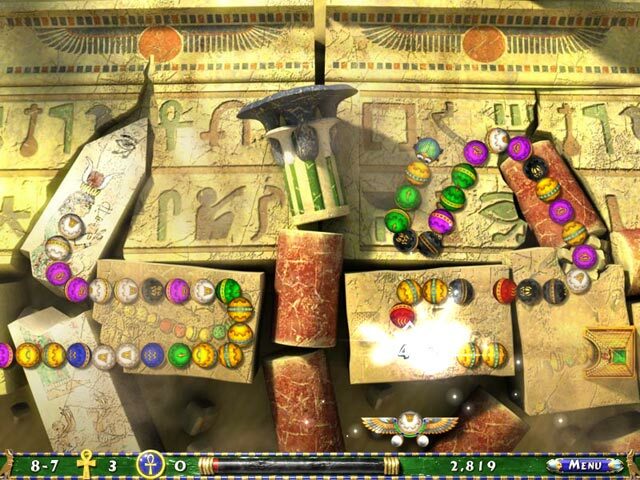 Matching and marble-popping action will captivate you in this unique Egyptian-themed puzzler.Isis needs your help.The great goddess Isis has enlisted you to help her battle the god Set and his evil minions. 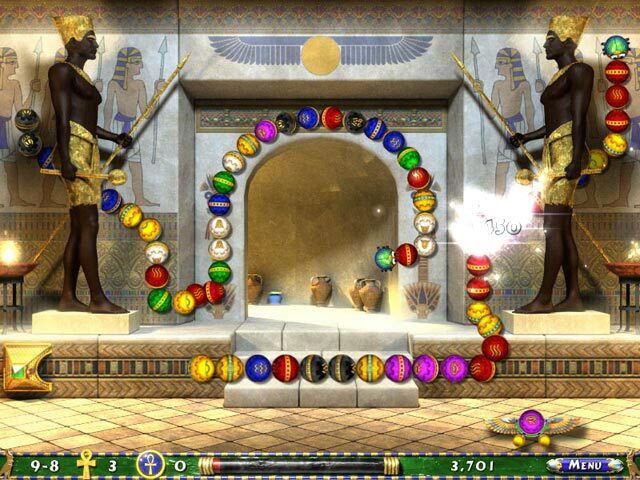 Journey through Egypt as you work to thwart Set's diabolical plans. 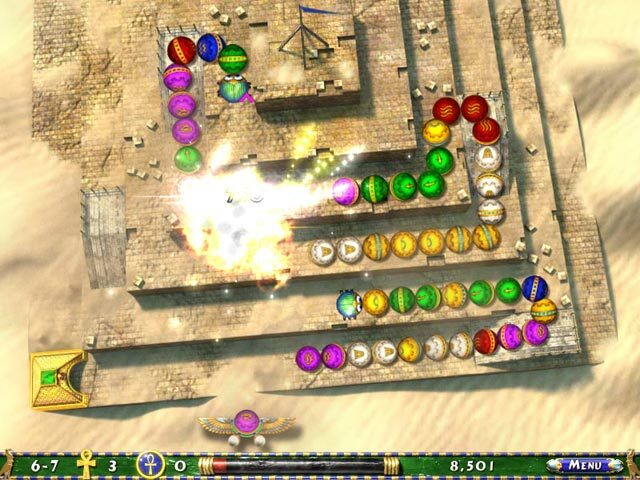 A green and gold scarab will push a chain of spheres toward your pyramids. It can only be destroyed by eliminating all the spheres in the chain or by being crushed from behind by another chain. 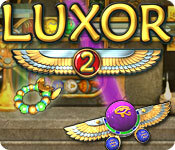 Set will not be pleased with your interference, but don't let his minions win in Luxor 2!